Wickedfood Earth Country Cooking School was proud to recently host TOMRA for a fun team-building cooking class day out in the country. It was TOMRA’S large diamond recovery machine that recently recovered the second largest gem quality diamond in history and the largest ever to be recovered through a modern processing facility. 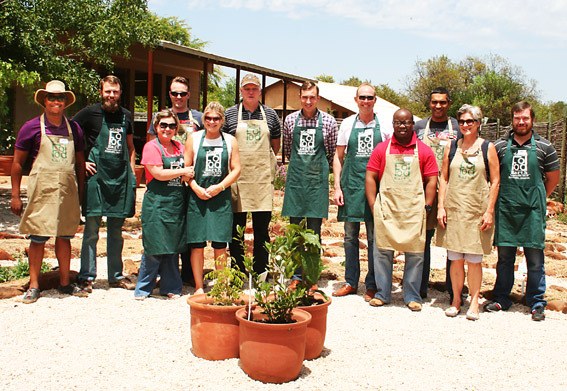 Wickedfood has 2 Gauteng cooking schools, Wickedfood Cooking School in Sandton, Johannesburg, and Wickedfood Earth Country Cooking School 60km from Fourways, located on a working farm. 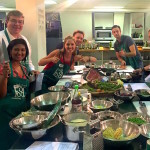 Both schools are ideal venues for cooking team building activities. These team building venues are a really great way to mingle and interact with fellow colleagues in a private venue. The team building cooking class includes all notes/recipes, ingredients, the use of an apron and limited soft drinks and fruit juices. For more information on these cooking classes and more, click here.